In our final class preview for the Machismo 12 Hour, we’ll take a look at the headlining class for the 2018 edition, The Pro Class (P1). 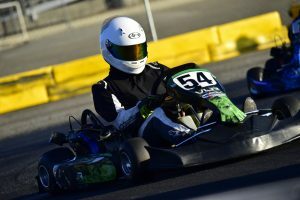 Unlike the previous two classes we have looked at, this class is not solely an ‘arrive and drive’ category; instead, we’ll see both our event partners -2 Wild Karting, Josh Huff Motorsport, and Troy Adams Coaching- as well as individual kart owners supplying the equipment for the 11th annual event. With none of the equipment supplied by CalSpeed, teams must work just as hard on the event prep and pit stop prowess as their on-track speed. This is because unlike in years’ prior, no time will be given back if any mechanical issues befall the Pro Class teams, with every second in the pits counting against them. This year, off-track ingenuity could play just as big a part in the outcome as the on-track speed and strategy, mimicking that of every sports car endurance race on the planet. 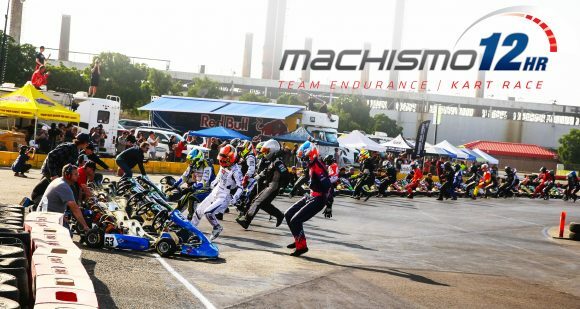 Luckily the equipment itself is tried and true; the VLR Emerald chassis with Briggs & Stratton 206 power is now in its third year of the Machismo, a stout package that has proven to be perfect for both sprint and endurance racing. Instead, the difference off track will likely come from each team’s ability to complete their pair of required mechanical pit stops during the event. Like the past two years, an oil change is required during the event, but new to the 2018 event is the return of the ‘Option’ tire in the Pro Class. Last used in the 2015 event, teams will again need to use two different compounds during the event; starting and finishing on the harder ‘Prime’ tire -the Maxxis SLH- while running the softer ‘Option’ tire -Bridgestone YLC- at any time during the race. Both tires are familiar to regulars of 206 racing at CalSpeed and the Machismo, as the SLH has been the staple for the event the past couple of years, and the YLC is used at all of the local Tri-C Karters events. With the Option tire being at least a second or so faster than the Prime tire, it will be interesting to see when each team elects to make their change, and for how long the tires will continue to offer their advantage on course. The first team on our list is the returning 2nd place squad from the 2017 event, led by standout driver from last year, Christian Brooks. Brooks was the fastest driver in the category last year, and returning with him is his teammate from that squad, fellow GRC Lites competitor Travis Pecoy. Brooks and Pecoy are joined by another GRC driver in Cole Keatts, who last year competed in the Super Sport category, and has improved immensely as a driver since the 2017 edition. 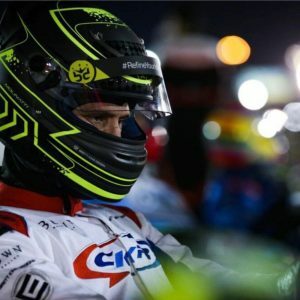 Rounding out this very strong lineup is former F3 driver and now sports car pilot and coach Nicolas Silva, who also has plenty of karting on his resume. 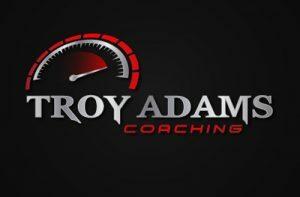 Team ‘Racer’s For Christ A’ will be astride a Troy Adams Coaching machine. The 3rd place squad from 2017 returns to the Machismo intact as Race Team Corinthians, with Jose da Silva, Diego Morales, Rob Hulobar, and Ryan Curtin coming back for another go; but now bolstered with a couple of 206 hot shoes from Colorado in Dustin Courter and Eric Gunderson. 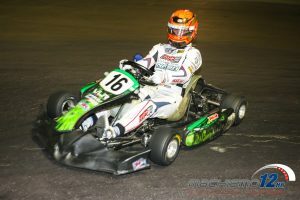 Gunderson has an extensive karting background and actually is the manager of the Colorado Karting Tour, while Courter is the 2017 Briggs Weekly Racing Series #1 ranked driver. Named ‘Race Team Corinthians’, this squad is the only group that has elected to go with a 6 driver lineup and will be running with Josh Huff Motorsports power for the 2018 edition of the Machismo. The first of our ‘owner teams’ on the list, Destiny Racing returns to the Machismo looking to once again be a threat for the race win, having come away with the pole position one year ago, only to have issues during the race itself. Destiny frontman Duane Lawson has a brand new lineup up for this year’s attempt, enlisting 2/3’s of the Super Sport winning team from last year in Darren Mercer and KC Cook, as well as the only driver to win Machismo in every category, Mark Connell. An extremely strong lineup for this year, all four have seen the top step here at Machismo more than once and would to add yet another trophy to their mantle. Perhaps the top squad coming out of the 2Wild Karting camp is none other than the one that carries its namesake. Originally intended to have the brothers Aranda return together this year, only Antonio will be taking to the seat as his brother injured his ribs just a few short weeks ago. Having run last year, Aranda returns with an even stronger chance at the podium, teaming up with one of the fastest drivers in Machismo history, Eric Molinatti. Molinatti cut the overall fastest time when the ‘option’ tire was last in use and is sure to be quick out of the gate once again. Rounding out the team of three is up an coming youngster Ricco Shlaimoum, who has shown increased potential with every passing year. 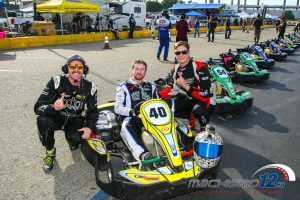 When it comes to endurance sport kart racing, two drivers have earned the right to be called some of the best, as Adam Nagao and Taylor Hays have dominated the IronMan Series at CalSpeed over the past 4 years. With Machismo wins and podiums to their name as well, they now make the jump up to the Pro category, enlisting the talents of a pair of T4 stablemates to complete their lineup: TJ Blackledge and Steve Spring. 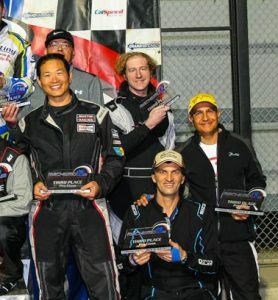 The T4 Autosport entry into the Pro Class breaks new ground for the group, and while they may have plenty of experience as drivers, it will be interesting to see if they turn wrenches as well as they turn laps around the Machismo course.